Vietnam can now be seen as one of the world’s manufacturing and trade hubs, Prime Minister Nguyen Xuan Phuc said at the Annual Vietnam Business Forum (VBF) 2018 in Hanoi on Tuesday morning. 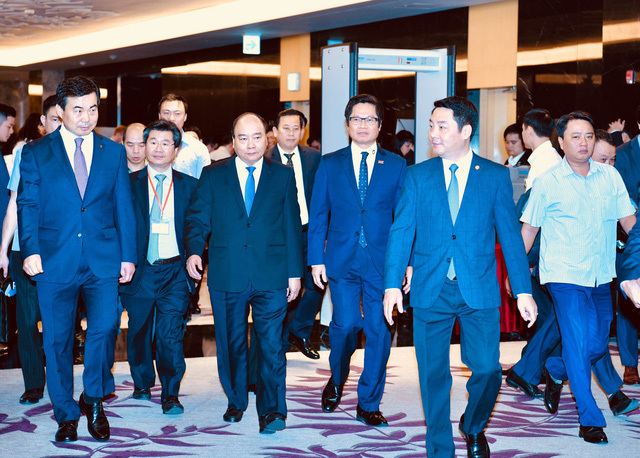 Speaking at the event themed “Sharing opportunities in the world of changing trade,” the Vietnamese premier emphasized that Vietnam is now a ‘big factory’ of the world and a ‘backbone’ of many major transnational corporations providing competitive products and services. 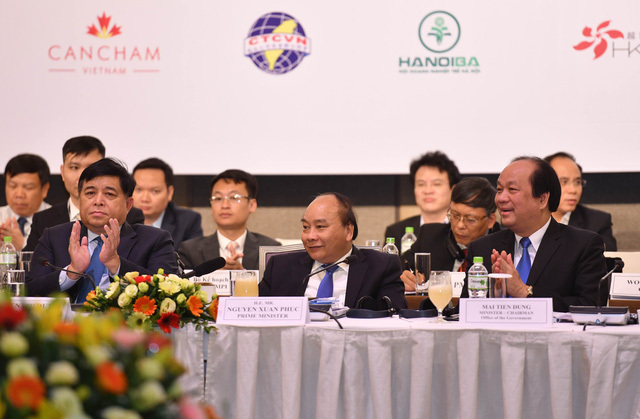 “The presence of many leading international groups such as Samsung, Intel, Canon, Toyota, Honda and thousands of other FDI [Foreign Direct Investment] companies in Vietnam is a guarantee of Vietnam’s quality of the investment environment and growth prospects,” PM Phuc said. The strong growth of private economic groups indicates that the business climate in Vietnam can ‘give birth’ to large enterprises that are internationally competitive, he added. Vietnam now has more than 20 export commodities worth over US$1 billion, the PM said, adding that Vietnamese agricultural products such as rice, pepper, coffee, and catfish are leading the global market. On the other hand, PM Phuc also noted Vietnam’s agriculture sector has yet to live up to its potential. Sharing the premier’s view, Dr. Huynh The Du of Fulbright University Vietnam, advised Vietnam focus on a higher level of production value if it wants to be a global factory as big as China currently is. According to Du, although Vietnam is already a big manufacturing hub, its market share cannot be compared to that of China, except in some sectors. Therefore, Dinh Tuan Minh, a member of the founding board of the Vietnam Institute for Economics and Policy Research, suggested that the Southeast Asian country increase added value in production and supply chains by developing supporting industries. VBF serves as a regular and high-level channel of communication between the business community and the Vietnamese government, contributing to shaping reforms that provide concrete results toward delivering a better business environment in Vietnam.